What you’re talking about right now currently has nothing to do with the episode, there are no indications that Wendy is going to have anything to do with this episode. As Nick said, we don't know who else is going to appear this episode. Talking about Wendy when she might not appear at all is derailing the thread, and I could ban you for that until Wednesday. That why I told you to take that idea elsewhere. If you're going to derail the thread anyway, the banhammer will be upon you. Come on, go easy on him, he's just making theories about the new episode. I don't see anything wrong with that. We rather discuss what could be in the episode based on the available facts. Wendy hasn't been mentioned yet. If she's in the press releases or in one of the preview pics or clip in a prominent role (not in the background), then you can talk about her here. Hopefully won't be too long on clip. I don't see Wendy anywhere. Hope Stan's girlfriend will be involved in this episode too. The first image shows a midget with black hair. He reminds me of when Cartman fought that motivational speaker midget. I’m guessing he is that passionate young health advocate. Maybe he was born with issues for his parents used lots of drugs and alcohol. The second picture points to me being right. Stan’s grandpa is shown at his retirement home in the cafeteria eating with Stan. 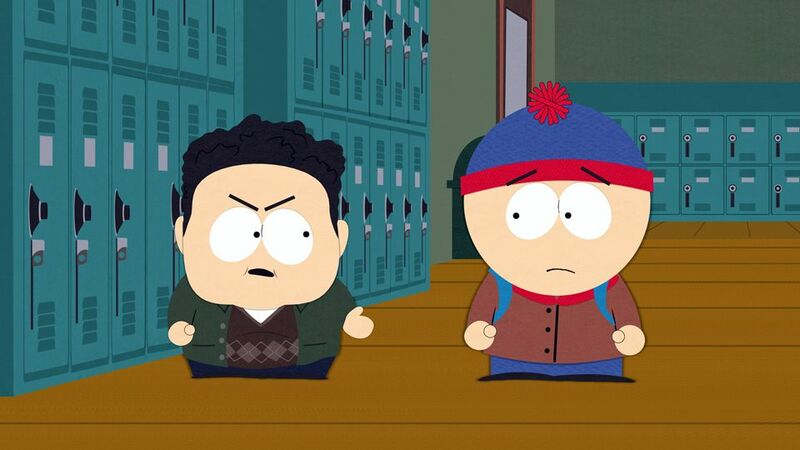 So, I guess Stan for some reason must spend time with Grandpa Marsh. That leads to him finding drugs lying all around and in the Hummel’s. Old people hate taking their pills so I guess Stan just empties out the Hummel’s where the old people hide the pills and walks out with all the pills in his pockets or bag. I think it’s usually old women that have the Hummel’s. I guess Stan just volunteers to spend time with the old women or to clean their rooms and he takes the pills. I don’t know how they would know what pills are what drugs. That could lead to some weird things happening with people getting hurt for taking certain medications. I would think Stan may have to start stealing from the pharmacies at the retirement home and from his mother’s work. He may get too deep and get too many dangerous clients that demand him to get them drugs or else. 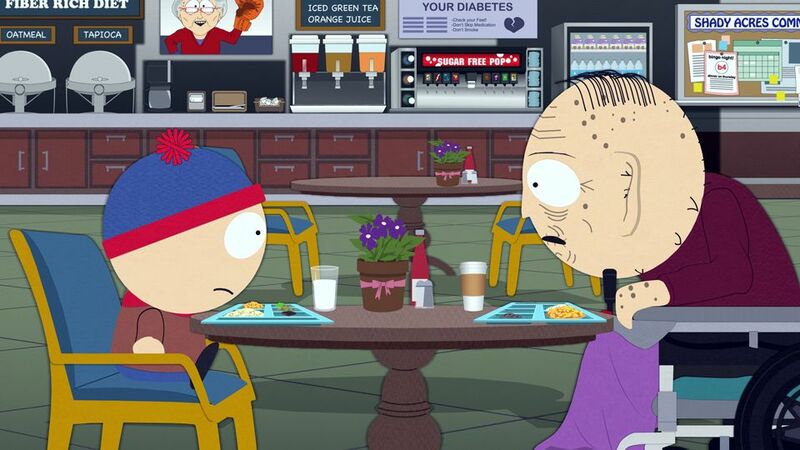 I wonder how Stan pushes the drugs on people. I hate the idea of boys from the elementary school or especially girls to take drugs. I hate thinking of Shelly becoming an addict. I hope none of the kids end up dying that will not show up again. I think of prostitution too, though it does sound fun to see how far the characters will go to get their fix, this episode could touch some dark subjects of American society. I think this one will be a classic. I hope they bring up dead celebrities as promised. I don’t want to request but I think of John Belushi and Chris Farley the most, though Heath Ledger comes up too. I wonder what celebrities will be featured to have died and which ones will be on and having problems. 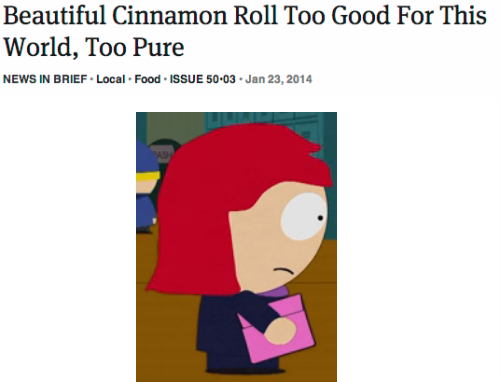 I know Heidi has been a problem for Cartman. I wonder if he will get her hooked-on drugs, to make her easier to control. I know this is comedic but it is also a sick idea to do that to another human being. I would think Wendy would be in the episode but you never know. I’d think she’d never use drugs or maybe the episode will end with Stan finding out Wendy is now a dirty junky and so he turns himself in because of what he did to her. If Grandpa has Hummel figurines, JamesPolo will have called it. Look! Wendy shows up in the clip so maybe we will play a major role in this week's episode.